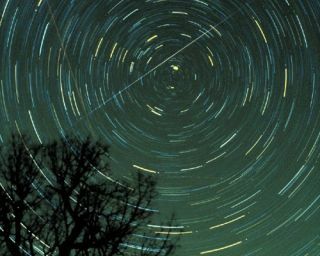 A meteor showers can be a dazzling experience for amateur skywatchers and professional scientists alike and in 2012 the annual "shooting star" schedule will continue. Listed below are the major 2012 meteor showers visible during the night where the expected Zenith Hourly Rate (ZHR) of meteors will be 10 or more, or where the rate may be variable. Since more meteors are always seen after midnight, these dates are the best mornings to observe. Major Meteor Showers visible during the night where the expected Zenith Hourly Rate (ZHR) will be 10 or more, or where the rate may be variable. Since more meteors are always seen after midnight, these dates are the best mornings to observe.